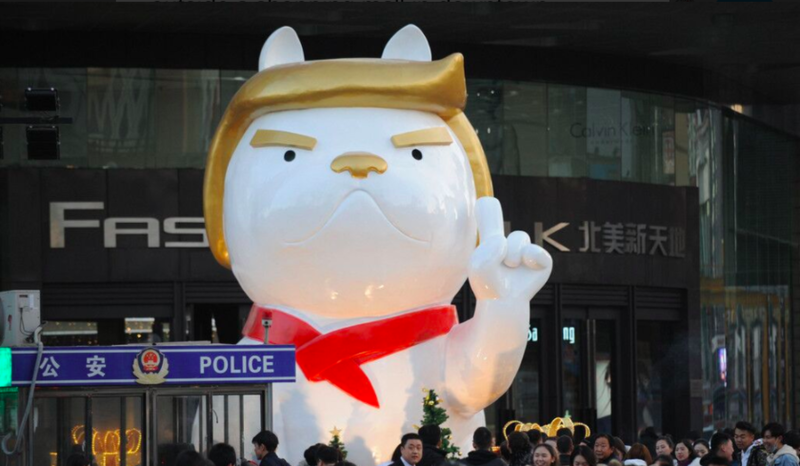 A mall in China is getting ready for the “Year of the Dog” with a giant sculpture of the animal resembling President Trump. Customers at The Festival Walk Mall in Taiyuan are celebrating the upcoming Lunar New Year, which will fall on Feb. 16, by snapping pictures with an anthropomorphic version of Mr. Trump. The pup, which sports a red kerchief and a full head of golden hair, looms over onlookers. “It’s just a cute dog for our customers to see and take pictures with,” an employee who requested anonymity told The Guardian on Friday. The 12-year lunar cycle is associated with traits such as loyalty and wisdom.